If you're tight on space or have a full house—especially during the holidays—an air mattress turns any room into a guest room. Made of a durable vinyl and ranging in price from $25 to several hundred, air mattresses are generally available in two heights: single-height mattress, between 9 and 11 inches high, and double-height mattresses, ranging from 17 to 21 inches. Double-heights are a bit easier to get in and out of since they’re taller, and might offer slightly more comfort since you’re not as close to the floor. As you shop, keep in mind the pros and cons of each type. Ciufo says to look for a mattress with a pump, built-in or not, if you’re planning to get a mattress for your home so that you don’t have to blow it up yourself. When we test air mattresses, we look for deflection, or how much it sags. If the mattress doesn’t deflect all that much, it means weight is being distributed over the surface of the mattress, making it easier to get in and out. To test this, we use weights totaling more than 250 pounds. We measure how much the surface depresses and take several readings over the course of an hour. We also score air mattresses based on convenience, to answer whether you'll spend ages blowing it up, or if you'll have difficulty storing it after deflating. Our technicians also noted overall size and weight after the mattress is rolled up. A word of caution: Keep pets away from air mattresses, as claws can easily pop holes. And that goes for all pets. We tested how easy it was to poke holes in each air mattress, and it took only 7 pounds of force to pop each model we tested. To be clear, we don’t test air mattresses the same way we test regular mattresses. If you’re in the market for a full-fledged guest bed, check out our full mattress ratings, covering innerspring, foam, and adjustable air mattresses. CR members can also access our air mattress ratings. 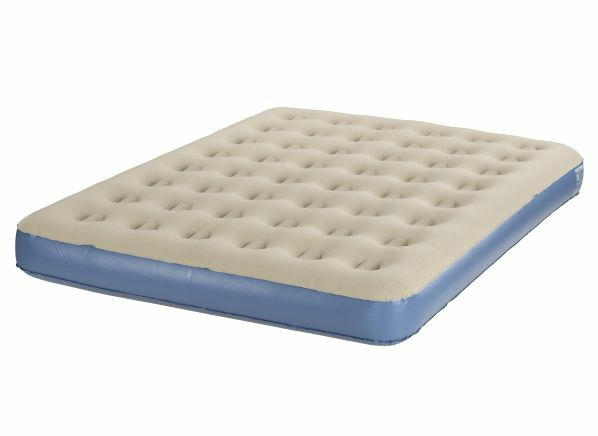 Read on for reviews of some of the best and worst single- and double-height air mattresses from our tests. Double-height air mattresses are great as a makeshift guest bed. Many have a fuzzy vinyl side, making it less likely for your guests to slide across the mattress at night, and they often come with an electric air pump that makes getting the bed inflated less of a chore. 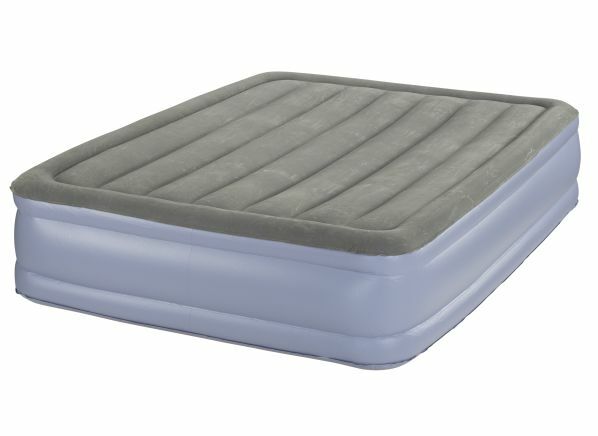 CR’s take: You don’t have to pay triple digits for a great air mattress, and the 17-inch-high Hi-Loft from Simmons Beautyrest proves that. It’s nearly half the cost of the most expensive air mattress in our ratings, and performs better than pricier models in our tests. During the initial inflation in our convenience tests, our testers found it took about 3 minutes to reach full firmness; it then took 4 minutes to let all that air out. It earns an Excellent rating on our deflection test, meaning this is an easier mattress to get out of once you’ve sat down. This model comes with a storage bag, and it folds down to 6x12x17 inches. CR’s take: The 18-inch-high Intex Comfort Plush had the lowest deflection score in our tests, forming a depression of 2 inches when weight was initially applied. This, combined with its elevated height, allows you to push off of it with ease when trying to stand up. In our convenience tests, this mattress earns a Good rating: It took slightly longer to inflate, about 6 minutes, and 5 minutes to deflate it. This mattress wasn’t as easy to fold up and put away as the Simmons and requires about 1.3 cubic feet of space to store. It comes with a storage bag. 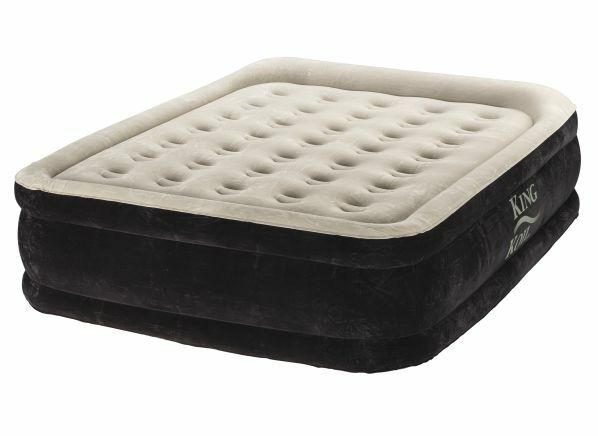 Many single-height air mattresses don’t come with pumps. 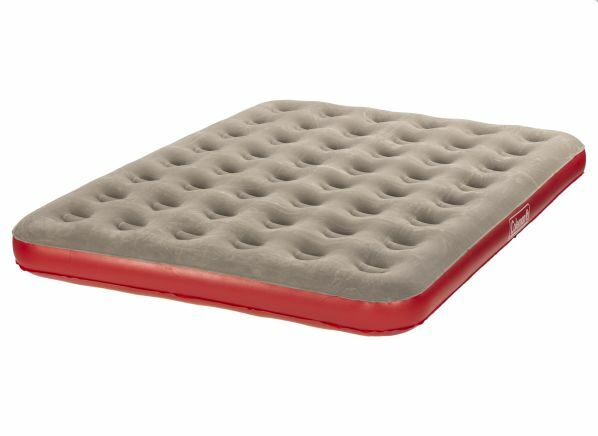 They’re great for camping trips or for folks who don’t have a ton of storage for a bigger air mattress. CR’s take: This 11-inch-high air mattress from Aerobed is on the pricier side, but it might be worth the investment: Thanks to the included electric accessory pump, it takes just 2 minutes to inflate and 2 minutes to deflate this air mattress. In our deflection test, it earns an Excellent rating, meaning it won’t sag as much when you sit on it. It sank approximately 4 inches. As for storage, it was a little on the bulkier side, particularly for a single-height model—it requires 12x12x22 inches of storage space. CR’s take: It’s hard to beat this price, and the 9-inch-high Coleman Quick Bed performs well and stores easily. Note that it doesn’t come with a pump, so you'll need one to inflate this mattress. It earns a Very Good rating for deflection. Just like the more expensive Aerobed above, it took 2 minutes to inflate and 2 minutes to deflate the Coleman, and it was very easy to roll up this model and store. Storage dimensions are 5x14x14 inches. 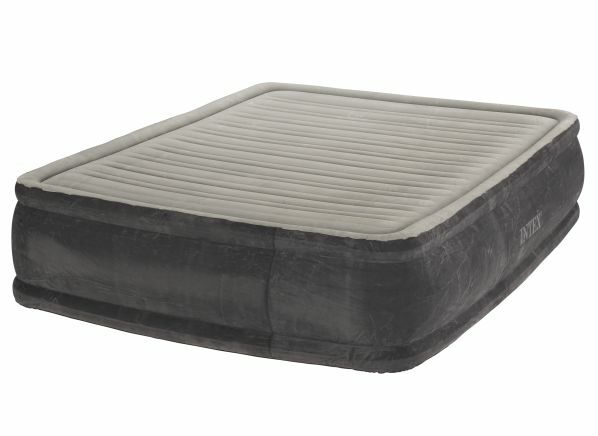 CR’s take: The most expensive air mattress we tested also offers the most height, at 21 inches tall. But this mattress received our lowest deflection score—it sank almost 6 inches in total, and had a 2-inch difference between initial sinking and the final reading, which means you could have a hard time standing up after use. For this, it earns a Fair rating. It’s also the heaviest mattress we tested, weighing in at 21 pounds—6 pounds heavier than the highly rated Simmons, up top.